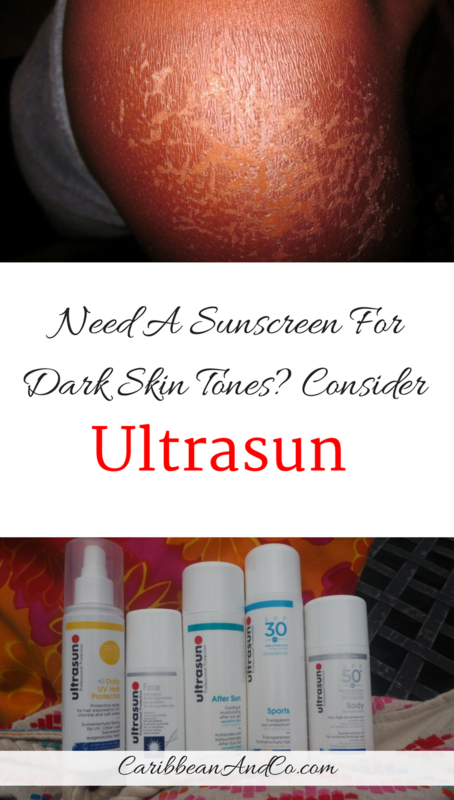 Need A Sunscreen For Dark Skin Tones? Consider Ultrasun - Caribbean & Co. When traveling through the Caribbean region or anywhere with hot weather climate for that matter, it is important to lather up with sunscreen lotion to protect the skin from harmful UV rays that can damage the skin and lead to skin cancer. This guidance is not just for people with pale skin tones but sunscreen for dark skin is a must when outdoors in hot sunny weather for prolonged periods. I didn’t actually start using sunscreen lotion until about five years ago after returning to London from a family reunion in Montserrat, known as the Emerald Isle of the Caribbean. For two weeks while in Montserrat, I spent countless hours at the beach and went on extended hikes around the volcanic and lush green island and while I wore a hat and applied lotion to keep my skin moisturized, I didn’t wear sunscreen. I didn’t wear sunscreen because I had never been noticeable sunburnt before and assumed that sunscreen for dark skin was not necessary as dark skin produces high levels of melanin and so would be adequately protected. However, I couldn’t be more wrong as the prolonged exposure to the bright sun without sunscreen resulted in an unsightly and uncomfortable sunburn on both of my shoulders which took some weeks to heal even after applying copious amounts of aloe vera lotion. After researching the matter, I discovered that while it is true that people with dark skin tones have more melanin which provides sun protection, it is only to about the SPF15 level. Therefore, after prolonged exposure, ultraviolet rays still have the potential to damage dark skin and lead to often-undiagnosed skin cancers. Basically, while skin cancer rates are significantly lower for people with dark rather than pale skin tones, low risk doesn’t mean no risk. In fact, according to the American Cancer Society, the lifetime risk of getting melanoma is about 2.5% (1 in 40) for whites, 0.1% (1 in 1,000) for blacks, and 0.5% (1 in 200) for Hispanics. And according to the Centers for Disease Control and Prevention, each year, nearly 5 million people in the United States are treated for skin cancer at the cost of more than US $8billion. Plus there are 72,000 new cases of and 9,000 deaths from melanoma, the deadliest form of skin cancer. These statistics are sadly similar in the United Kingdom and other Western countries. 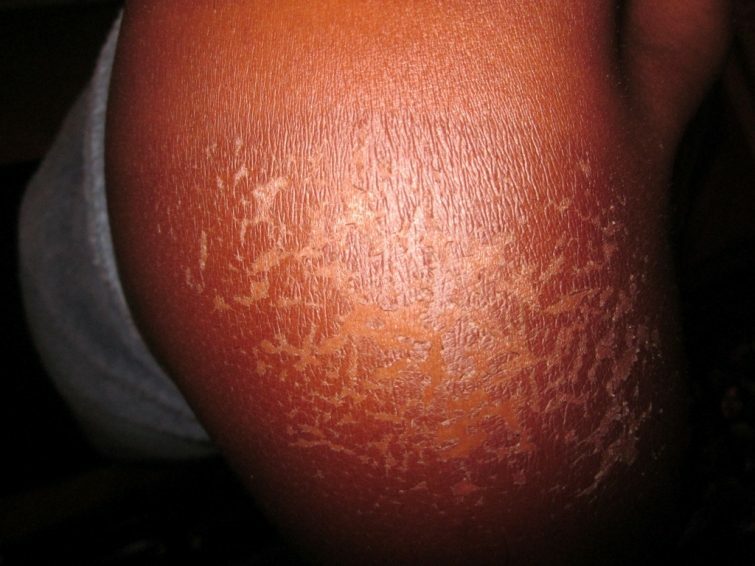 Not wanting this to happen to me; I am now religious about wearing sunscreen lotion while traveling across the Caribbean region and often use at a minimum an SPF30 sunscreen product. For extended periods out in the sun, I use an SPF50+ sunscreen product. 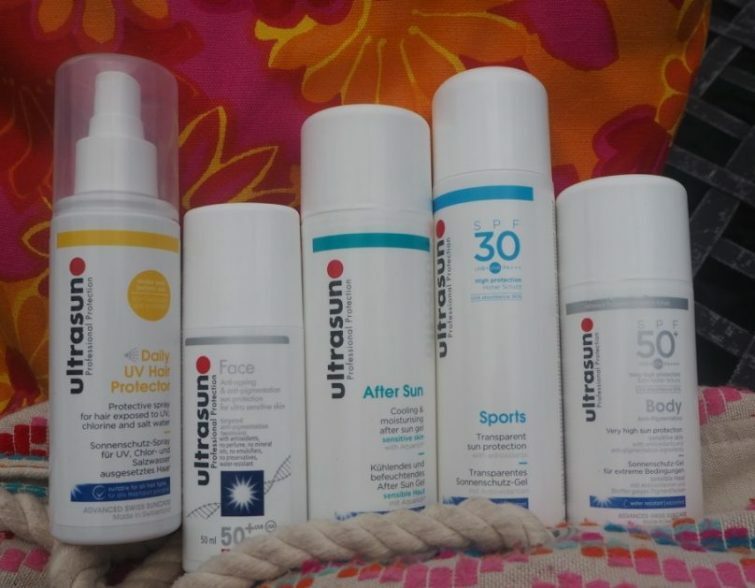 In fact, on my recent trip to Saint Kitts for the St Kitts Music Festival, I stayed protected with products UltraSun which has a wide selection of sunscreen products to suit every skin type and sun condition. This included the: UltraSun Lip Protection 30+ which I continually applied throughout the day. Also, the Ultrasun Body Anti-Pigmentation SPF50+ and Ultrasun Face Anti-Ageing & Anti-Pigmentation SPF50+ both of which I used while lounging for an extended period of time on the private beach at the St Kitts Marriott Resort & The Royal Beach Casino. These two Ultrasun SPF50+ products which are ideal for people with sensitive skin prone to pigmentation were fast-absorbing, lightweight and non-greasy. While on the go exploring cultural and historical sites in St Kitts like the Brimstone Hill Fortress National Park, I used the Ultrasun Sports Gel SPF30. I chose this Ultrasun product because not only is it also fast-absorbing and non-greasy, but it is also transparent. So against my dark skin tone, it didn’t take as long to rub in as there were no white streaks. Used more sparingly were the UltraSun After Sun Colling & Moisturizing After Sun Gel and the Ultrasun Daily UV Hair Protector since I actually didn’t end up spending a lot of time in the water. * Select a sunscreen lotion with a high Sun Protective Factor (SPF). This indicates how effectively the sunscreen lotion will block UVB rays. So while an SPF15 would be adequate for some, would recommend a minimum of SPF30. * Select a sunscreen that offers broad-spectrum protection thus not only blocking out UVB rays which cause sunburns, but also UVA rays which cause skin damage, such as signs of aging, wrinkles and dark or light spots. * For maximum protection, apply sunscreen 15 to 30 minutes before direct sun exposure. * Apply sunscreen to all parts of your exposed skin including ears, neck, the tops of your feet and hands; also hard to reach areas like your back. *Apply sunscreen not just on bright sunny days, but also when it is slightly cloudy or cool. *Reapply sunscreen if out and about for two or more hours; especially after a swim, or partaking in physical exercise/activities which produce a lot of sweat or toweling off. * For the ladies – some makeup and lip balms contain some of the same chemicals used in sunscreens. If they do not have at least SPF15, you’ll need to double up and not use these products on their own. Finally, note that sunscreen for dark skin (really all sunscreen) apparently has a shelf life of about three years after being manufactured and this is further reduced if the sunscreen is exposed to extremely high temperatures. So make sure you are using one that hasn’t expired. Also, wear sunglasses and a hat along with sensible clothing for increased sun protection. Disclaimer: Sample products were provided by Ultrasun for review but the views expressed above are mine entirely.